How Low Can I Set My Air Conditioner? Central air conditioning can use up a bundle of energy during the warmest months of the year and the bills can skyrocket as a result. It is important to know how to most efficiently use central air to conserve energy and lower costs. There are a number of ways to be more efficient with your air conditioning unit. Do not be excessive with your energy use, especially when dealing with heating and air conditioning. Do not turn on your air conditioning unless other ventilation is not enough. When it is necessary, decide whether it is necessary at all times or if there are times when you do not need it. Turn up the thermostat a few degrees at night when the heat isn’t a problem and raise the temperature considerably during times when no one is at home, according to the American Council for an Energy Efficient Economy (ACEEE). Close all windows and doors when the air conditioning unit is being used and do not cool rooms in the house that are unoccupied on a regular basis. If you have ceiling fans or other ways to improve the circulation of air in the home, use them. Raise your comfort level with fans so that you are able to raise the thermostat setting and remain comfortable Expect a savings of 3 percent to 5 percent on air conditioning costs and related energy usage for every degree you are able to raise your thermostat, according to ACEEE. Never let your air filters get dirty. Dirty air filters restrict airflow and can damage the unit or make it function with far less efficiency. During summer months clean your filters or replace them about every two months to ensure the most efficient operation of your system. The condenser in your unit should be professionally cleaned every other year or annually in dusty locations, according to ACEEE. Central air units are up to 20 percent more efficient when the refrigerant is charged properly. 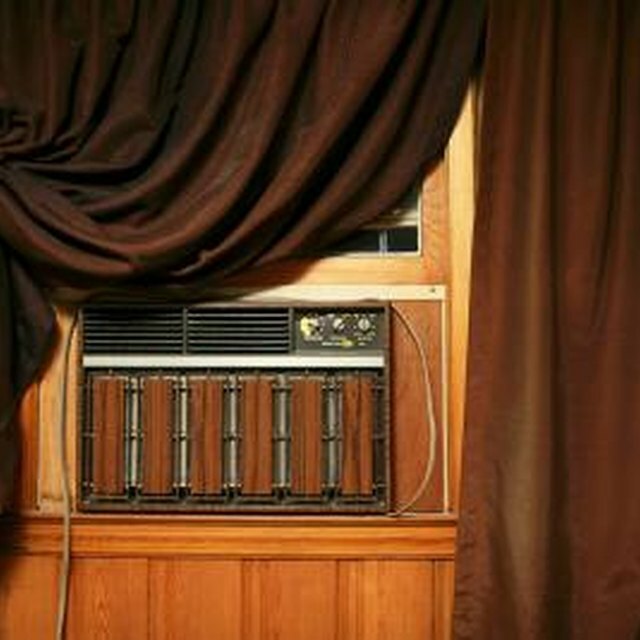 Improve your efficiency another 10 percent by making sure the airflow is functioning properly. Have your duct system checked to make sure it is sealed and insulated to improve your system by another 15 percent, according to ACEEE Schedule a checkup for your central air conditioning system every two to three years to be sure you are getting the most for your money. Even if your central unit is in tip-top shape and functioning perfectly, your house may be robbing it of some efficiency Make sure your home is set up for energy efficiency by having proper insulation, sealed windows and airtight doorways, according to Green Energy Efficient Homes. The difference in your energy bills will likely be dramatic if your home is set up for energy efficient success.